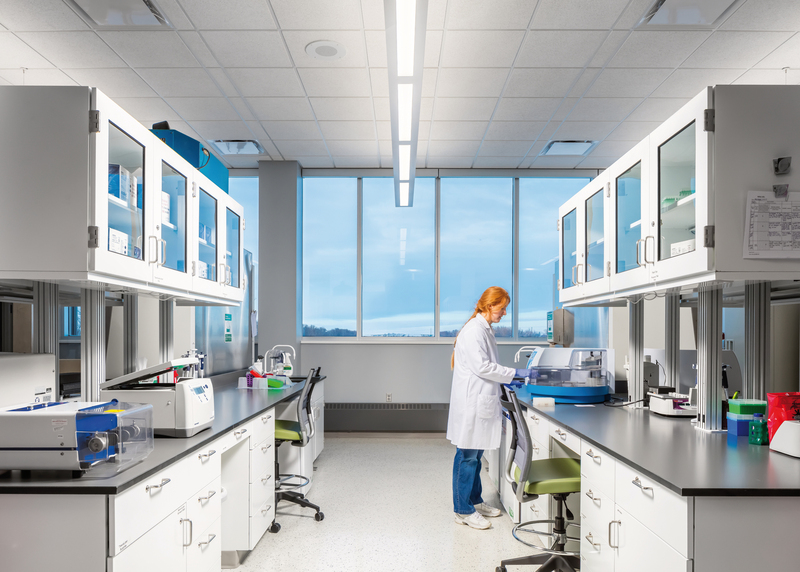 The Veterinary Diagnostic Laboratory houses analytical laboratories and related activities of the North Dakota Agricultural Extension Service and North Dakota State University by providing services for North Dakota veterinarians, livestock producers and the public who rely on the facility for diagnostic test results, necropsy, and other services. 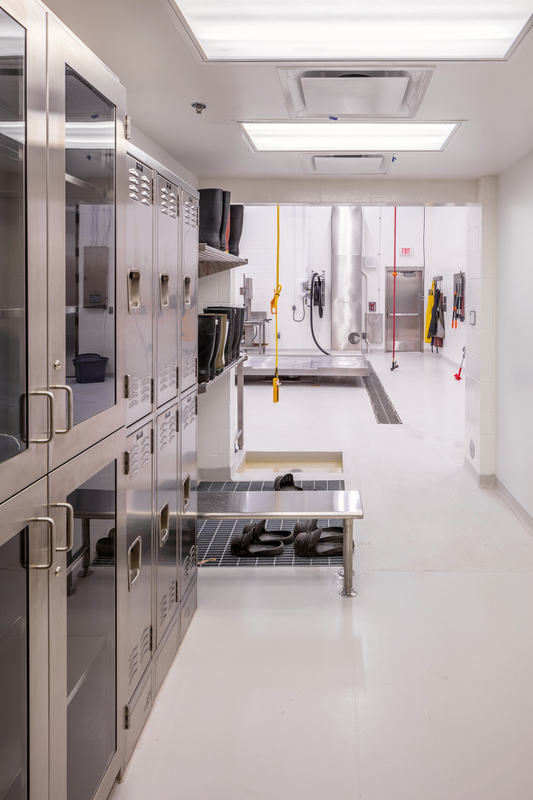 The AAVDL-accredited facility will also include advanced technology facilities, including a BSL-3 laboratory, which will support participation in the Veterinary Laboratory Response system, bioterrorism preparedness, and animal and public health emergencies. 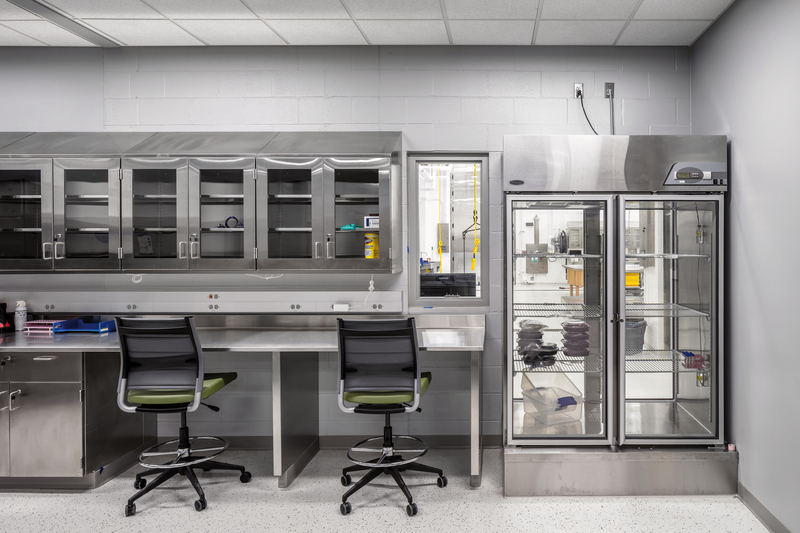 The one-story, 69%-efficient facility, includes a 4,000 gsf, high-bay necropsy suite, accessioning, toxicology, histology, serology, virology, bacteriology and molecular diagnostics. 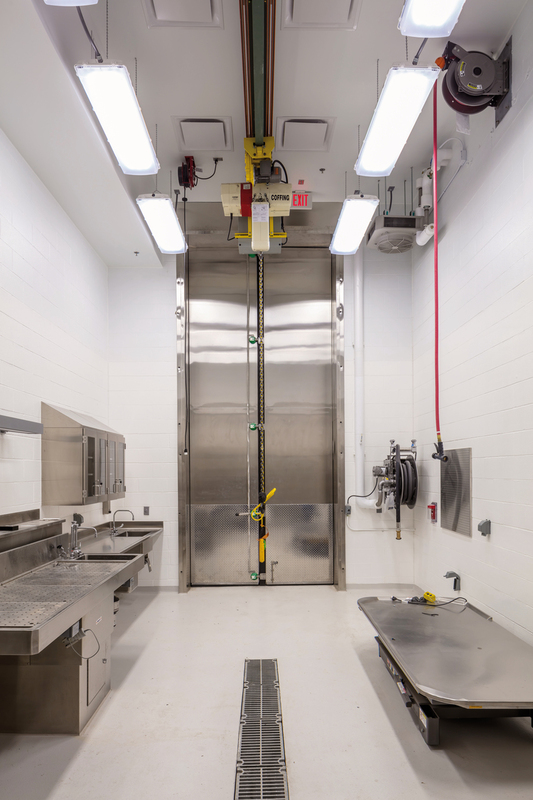 The facility is supported with an overhead crane system and carcass incinerator. 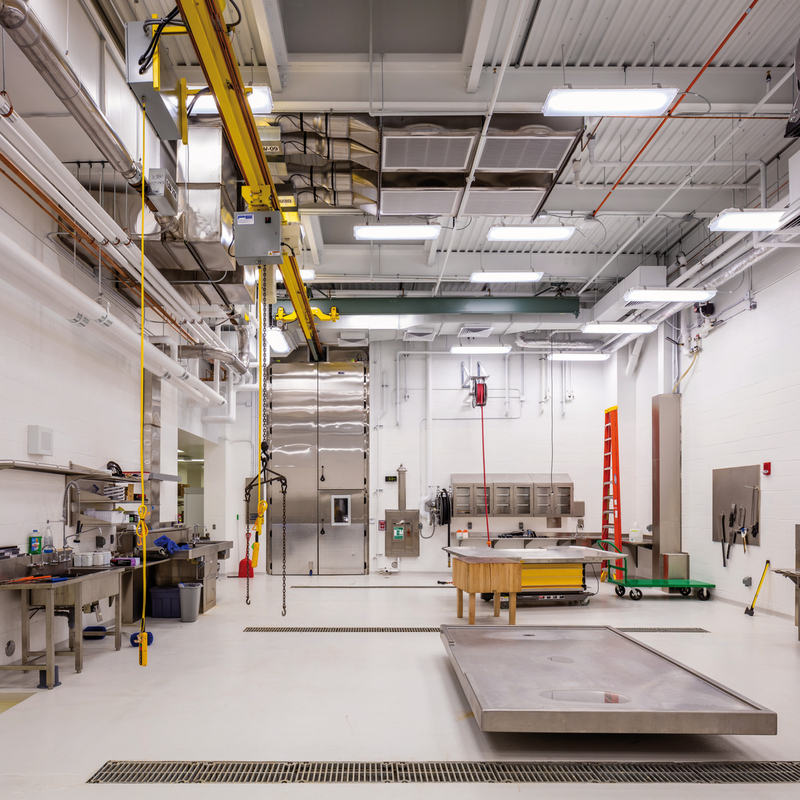 The facility is constructed on a 10-acre rural site approximately two miles west of the NDSU campus. 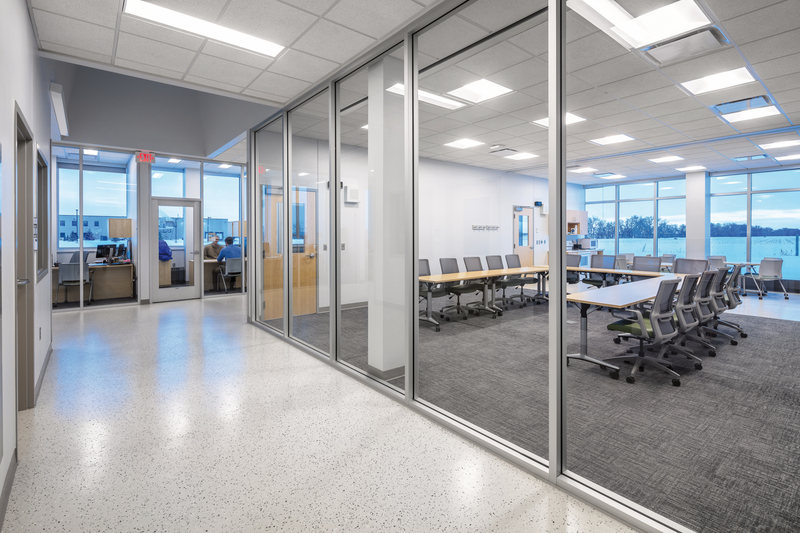 The facility is organized on an east-west linear basis to provide abundant tempered daylighting into the north-facing laboratory spaces and to provide multiple points of vehicular access and loading along the south side of the building, shielded from the harsh winter weather.